From the time she was in nursing school, Surin Rodino, ANP-C knew that she didn’t just want to be a nurse, she wanted to be a great nurse. What might have seemed like a lofty goal at the time has shaped Surin into the deeply caring and compassionate nurse she is today. 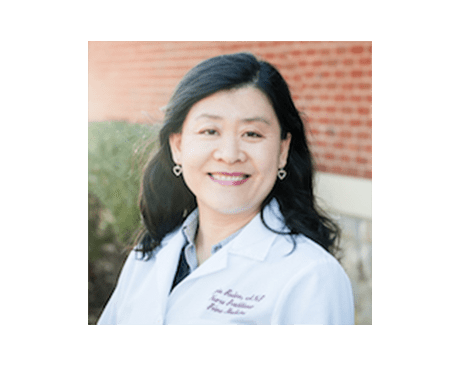 Now she serves as a board-certified adult nurse practitioner at Prima Medicine with two offices in the metropolitan Washington, D.C., area: Fairfax and South Riding, Virginia. Surin’s areas of special interest include internal medicine and women’s health. She began her nursing career as an undergraduate student at Columbia University School of Nursing in New York City, where Surin earned her bachelor’s degree in nursing, graduating with honors. She stayed on at Columbia University School of Nursing to complete her master’s degree in nursing. Surin is fluent in English and Korean. When she isn’t in the office helping her patients feel better, Surin enjoys spending time with her family, traveling, and seeking serenity. Here is a list of insurances accepted at Prima Medicine. If you do not see your insurance provider or if you have any questions about payment, please contact our office. *Medicaid participation is optional and varies amongst Privia Medical Group providers – please verify participation prior to your visit.